One of the ladies I write letters with sends these adorable little “books” as letters, so super cute. 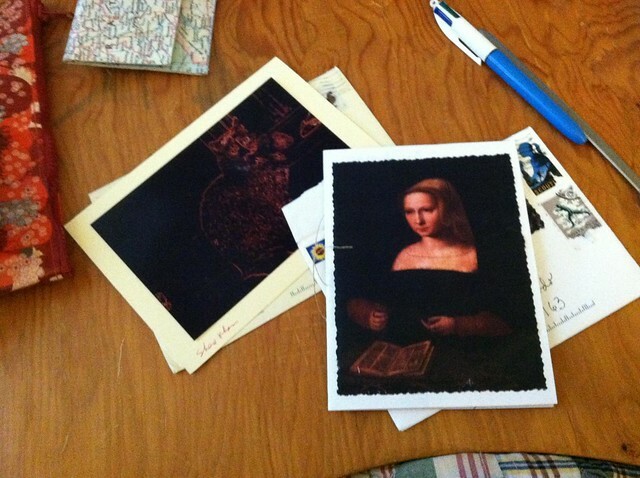 The woman with the illustrated novel was on the cover of mine, and it was such a delight to receive. Check out the Shere Khan photo on the other card, reminds me of the quote about petting a tiger. I am trying to use up some of my materials around the house and I found some great old movie theater postcards to send back, Kurosawa, and then one from an old comic-con postcard. The colors on the Kurosawa postcard are fantastic, all broad brushstrokes and impressions of the film and the over the top drama of the film. 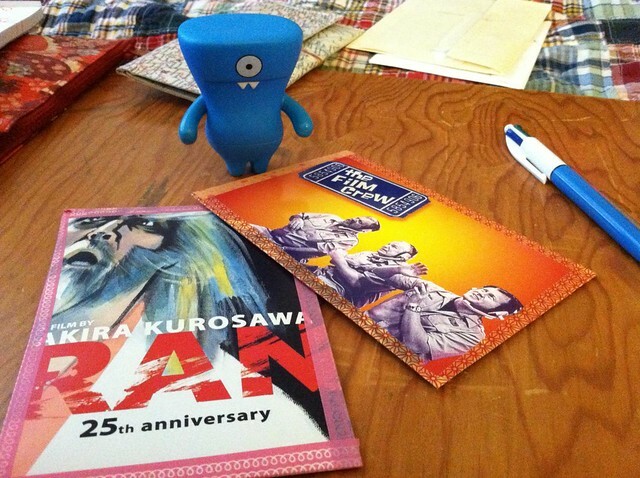 This entry was posted in Crafting, GirlZootZilla and tagged Akira Kurosawa, correspondence, letters, postcards, Ran. Bookmark the permalink.